Thermo-regulated fermentation between 24°C and 27°C takes 12 to 16 days. The wine matures in new barrels and casks for 18/21 months. Mild autumn with little rainfall. Heavy snowfall in February with cold temperatures for several days. The spring was mild with average temperatures between 15 and 18°C; a little rainfall concentrated in the month of April allowed normal budbreak and good flowering. The summer came early with high temperatures and a total absence of rain from mid-June to the end of August. In early September abundant rainfall refresh the ground and the air allowing the vines to resume the ripening process and complete it in the best possible way. 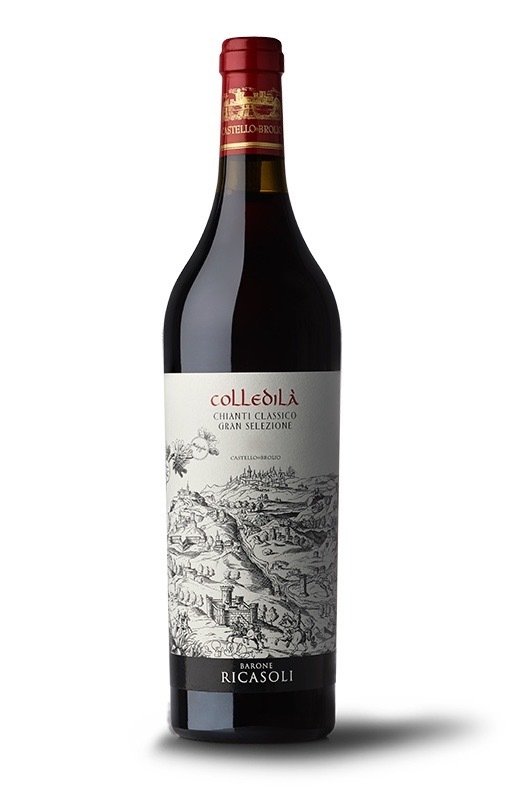 The 2012 vintage turned out to be of good quality, with peaks of excellence in both the Merlot and the Sangiovese, and this shows just how suited this area is to quality viticulture in difficult vintages too. Ruby red color with light garnet reflections. Complex nose, with hints of ripe fruit, and sweet notes of vanilla and white chocolate. The palate, elegant and soft, shows the perfect balance between acidity and tannins that is typical for the Sangiovese grown in this vineyard.